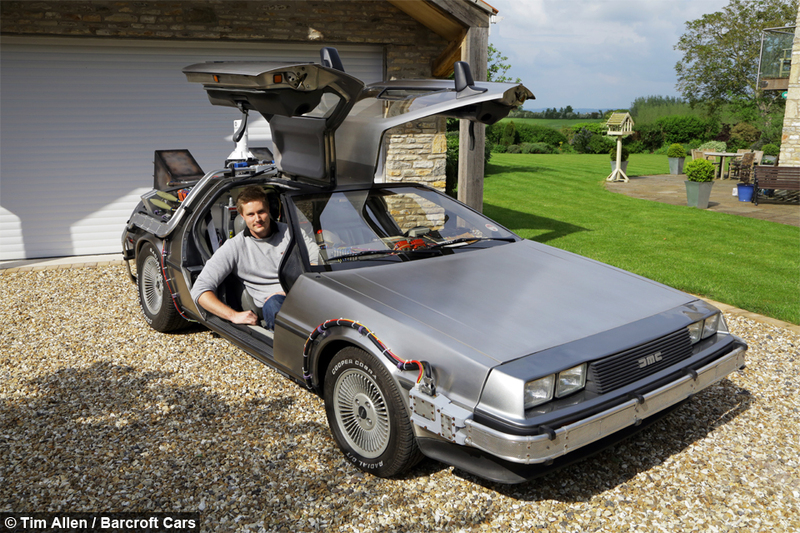 The self-employed inventory clerk, 25, from Keynsham in Somerset, is the proud owner of a DeLorean Time Machine – the iconic vehicle made famous in the Back to the Future series. Although sadly not capable of traveling back to 1955, the 'screen accurate' DeLorean features everything from fully-programmable time circuits to a flux capacitor and Mr Fusion Home Energy Reactor. 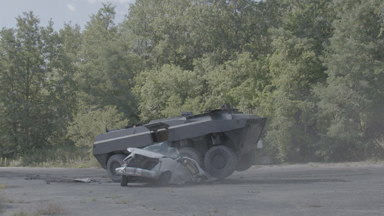 When the souped-up vehicle reaches 88kph it activates a series of lights and time travel sound effects. And, incredibly, the DeLorean can even be put in a hover conversion mode, mimicking the flying car driven by Doc Brown at the end of the first film and that plays a starring role in the second instalment of the franchise. 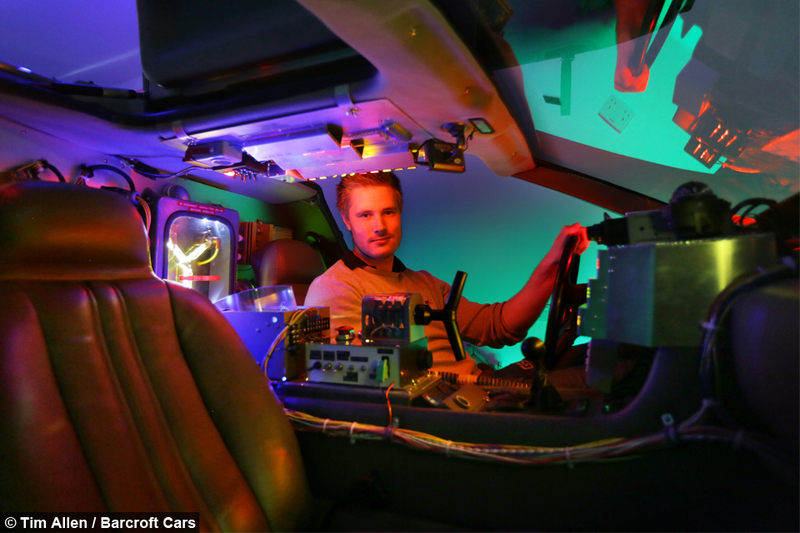 The car was built in Florida by an ex-NASA engineer and Universal Studios contractor, and later bought by his friend Luke, who sold it to Ollie in February this year for a five-figure sum. Ollie said: "I love the films to bits, it all stems from that. I was looking to buy a DeLorean when I was 16, before I could actually drive. "Quite quickly I realised they were very rare and too expensive for someone that age. "But the idea stayed in the back of my mind and I saw an advert for a self-drive thing, where you could hire one for a weekend. "A lot of deals are done through the Owners Club before they go on the open market, so they go quite quickly. "I always wanted a DeLorean, but I never really thought you’d be able to own one that looks like the film car, so I got a stock one, that emptied out my savings account." 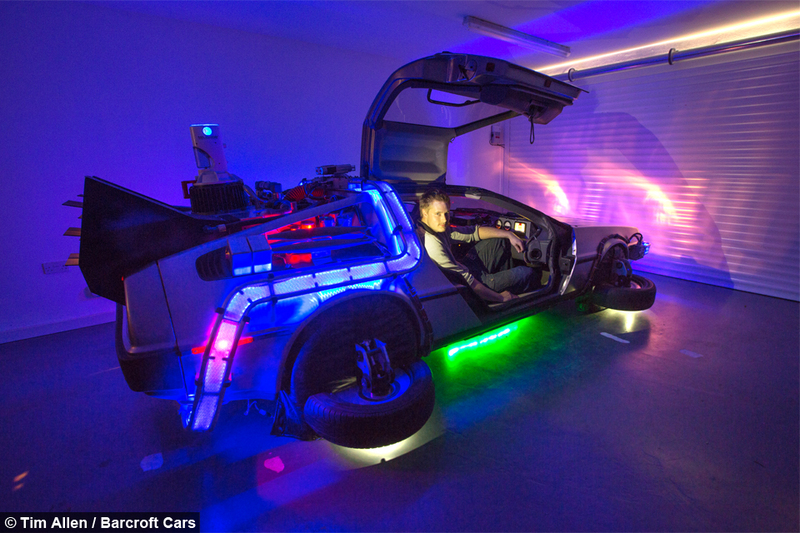 Ollie bought his first DeLorean - a black automatic - in May 2012 and spent 18 months doing it up, before purchasing the DeLorean Time Machine in February 2014. 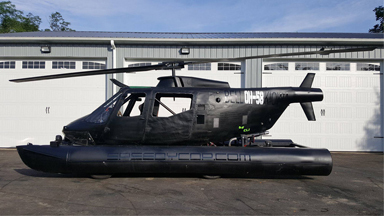 “I always wanted to own a DeLoean – I bought one two years ago through the owners club, and my sister’s fiancée did a restoration on it," he said. 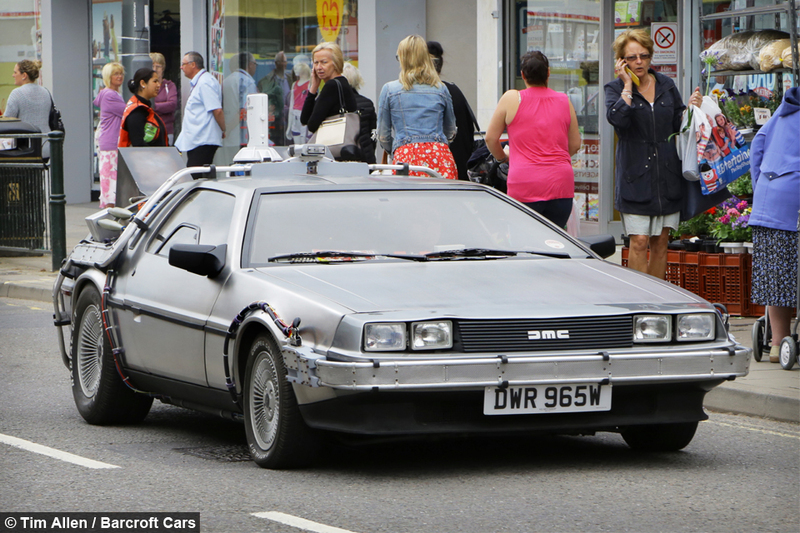 Ollie runs a business renting the car out, but still finds time to take the DeLorean for a spin - recently ferrying Jason Bradbury from the hit Channel 5 programme The Gadget Show around London. 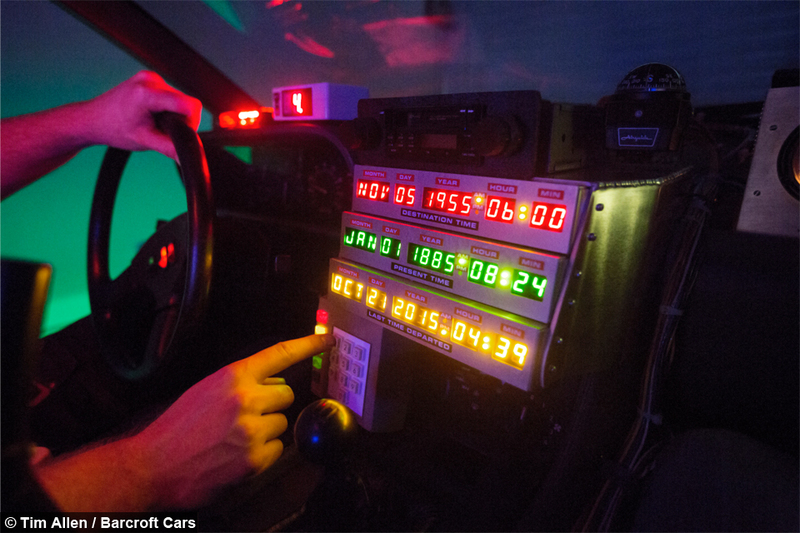 And the real-life Marty McFly says he has become used to the amount of attention the car generates. Ollie said: “It’s not like any other car – if you saw someone in a Ferrari or a rare or expensive sports car, you wouldn’t necessarily go up and touch it or try and sit in it. 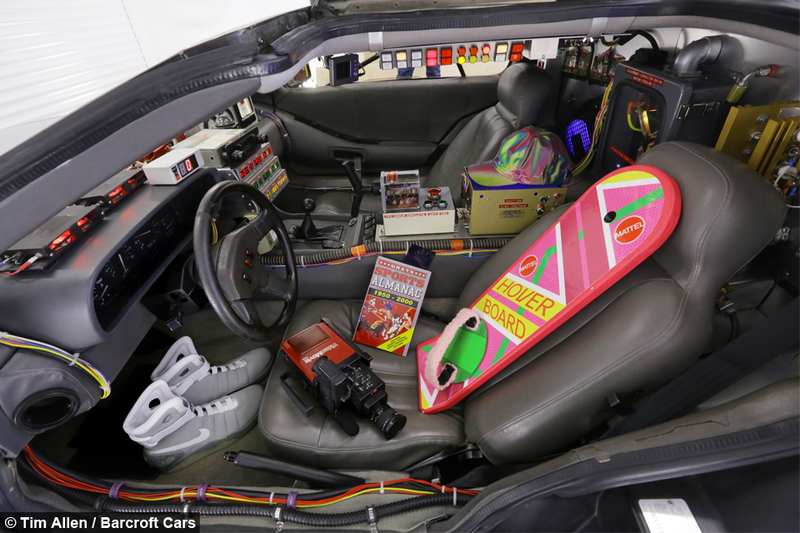 “But with the DeLoreans people are just desperate to get as close as they possible can to it – touch the metalwork, ask if they can sit in it – I’ve had people jump in it before without asking. 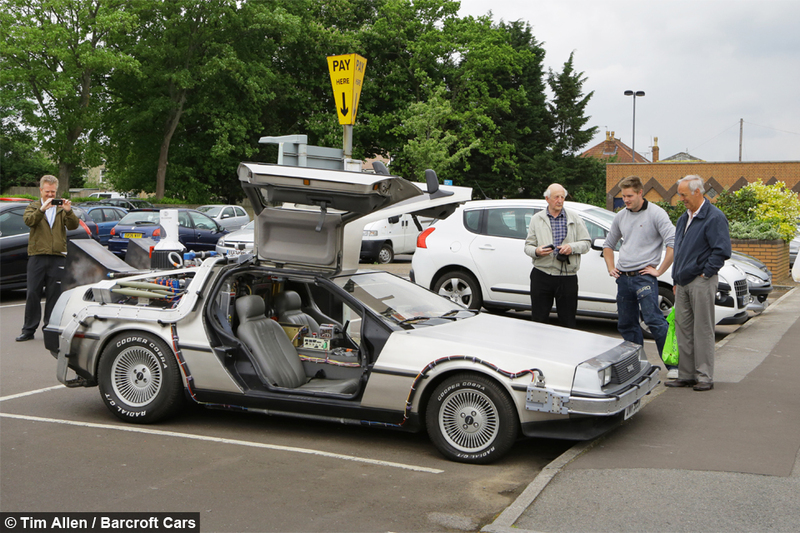 Ollie’s DeLorean has even attracted attention from the law – with officers pulling him over to pose for snaps and compliment him on his car. He said: "I’ve been stopped at the side of the road, then people pull in beside me, take a quick picture and then drive off. People will pull in to let you past them, to enable them to take a video. "In one of my first drives in my first DeLorean, I got followed for quite a long time by police. There were two police officers, and one of them was taking pictures as I went past, they followed me into the car park, they got out and had a chat and took some photos. 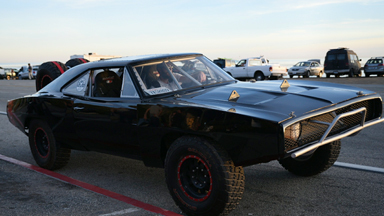 "It’s unlike any other car. You don’t really get any bad feedback – people just smile when they see it, it makes people happy." However, not everyone is quite as smitten with the DeLorean as Ollie – including his girlfriend Anna. "I think she tolerates it. 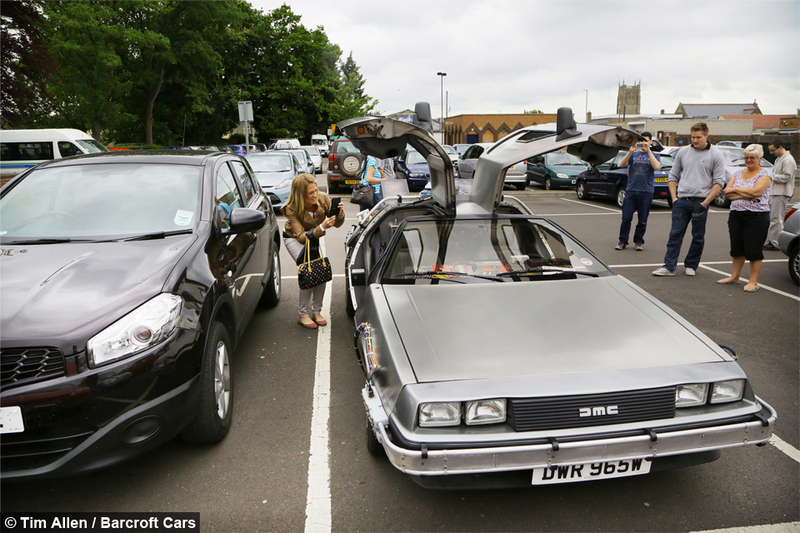 She’s not too fussed about cars, she likes being able to tell people we’ve got a DeLorean," he said. "She knows it’s not the worst thing a boyfriend could do. I don’t go down the pub every Friday drinking. She rolls her eyes quite often, but in general she’s very supportive." Anna added: "When Ollie first bought it, I got inside it and I got really excited as well and acted a bit like a little kid pressing all the buttons and it does this, it does that. I've always liked the films but I wouldn't necessarily call myself a fan as in I'd want to get one. "I'd rather get a Volkswagen camper van so I'd happily get the one that the Libyans come in. 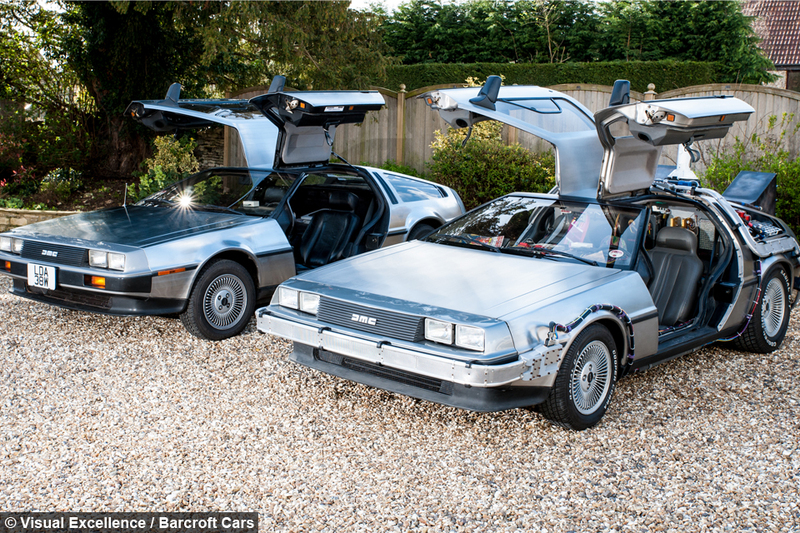 I would like that very much instead of having two DeLoreans."